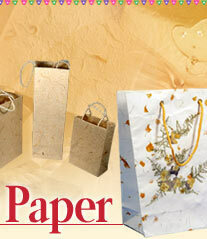 Using eco-friendly handmade paper shows your concern for environmental issues. The paper that we normally use at home and in the office is mill-made and is made from wood pulp that is made by cutting trees and adding chemicals and dyes to them. There is no doubt that cutting of trees is harmful to the environment, but the chemicals and dyes that are used to make the wood pulp, are equally harmful and contribute to the Greenhouse effect. An environmental friendly alternative is handmade paper. Handmade paper is completely wood-free. 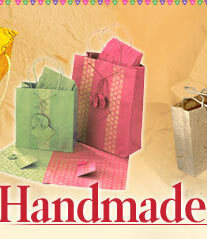 Handmade paper is not only eco-friendly but is recyclable as well. This paper is made from cotton waste, cotton cloth rags, waste biomass like grass, jute, husk, waste wool etc. Most of the time handmade paper is made from pre consumed products. The entire process of making this paper is done by hand. 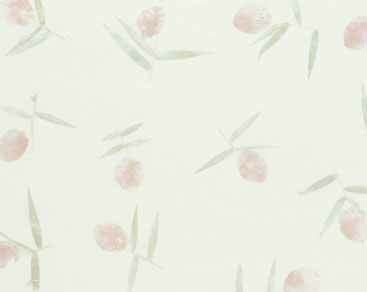 No harmful chemicals are used in the production of handmade paper. The texture and variety is created by adding various natural products like flower petals, grass, leaves, silk threads, agro products etc. Using handmade paper and its products is not a fashion statement, but shows one's concern for the environment. Using this paper saves the environment and helps preserve the forests for future generations. Handmade paper can be used not only for decorative purposes but can also meet the day-to-day requirement of paper for writing, printing etc. Today handmade paper is made in such a way that it meets office requirements as well. The paper can be used in Inkjet and Laser Printers and can be used for office stationery as well. 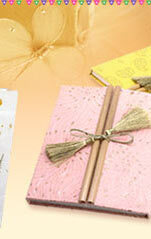 Thus, by using handmade paper, one is not only being environmental friendly but is making a personal statement too.